Union Human Resource Development Minister Prakash Javadekar has launched an Anti-Ragging Mobile App in New Delhi. The app was introduced by the University Grants Commission (UGC). 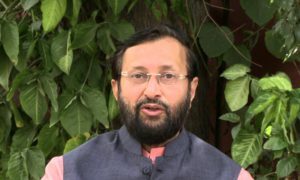 Javadekar on the occasion said, the mobile app will help students counter the menace of ragging by registering complaints timely. Earlier, students had to visit the UGC’s website for registering complaint against ragging, he said. As the record suggests, timely action in such cases had resulted in the decrease of such instances but it should be eliminated completely, he added. 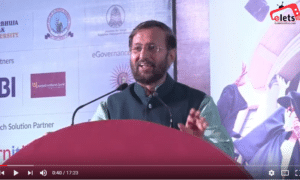 According to Javadekar, majority of senior students in colleges guide their juniors and mentor them, but the few cases of ragging happen in the campuses need to be completely eliminated. The app will work on android phones and students will be required to log in to register their complaints immediately. Soon after a complaint’s registration, all concerned will be informed immediately and action will start immediately. Considering it as a good step for protection of students and to make them feel safer, the minister cautioned the students who are involved in ragging that it will not be tolerated. Such students may be debarred from continuing their education in that institution and may face severe penalty and punishment as per the law.